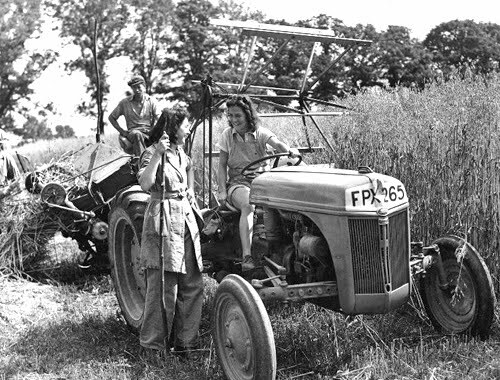 During both World Wars, many civilian women took up jobs in agriculture, replacing those men who went to war. 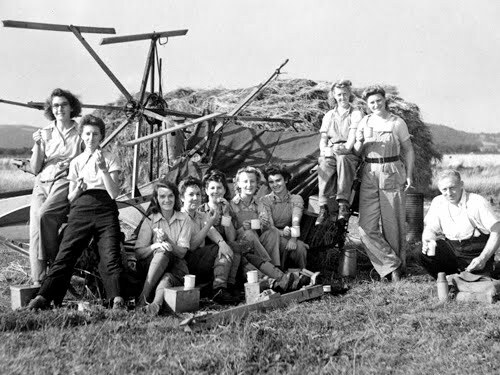 The women who worked for the Women's Land Army (WLA) were commonly known as Land Girls. In forestry, Women's Timber Corps were known as Lumber Jills. At the height of the First World War the Land Army had a full-time membership of 23,000 members. The number exceeded 80,000 during the Second World War. I've long been influenced by the Lang Girl style. 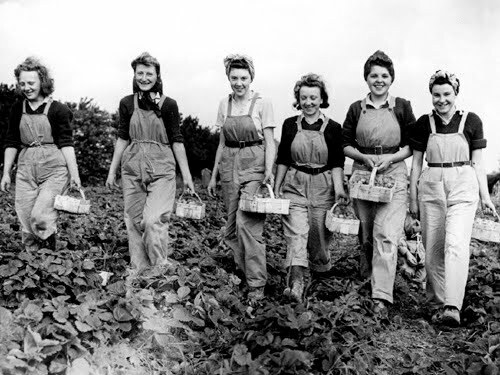 But, it's easy to romanticize what these women did, with our idealized notions of country living. Still, I don't only imagine the brutal hardship of wartime. I also imagine amazing camaraderie and a sense of freedom as these women took on roles that were impossible for them to perform during peace-time.